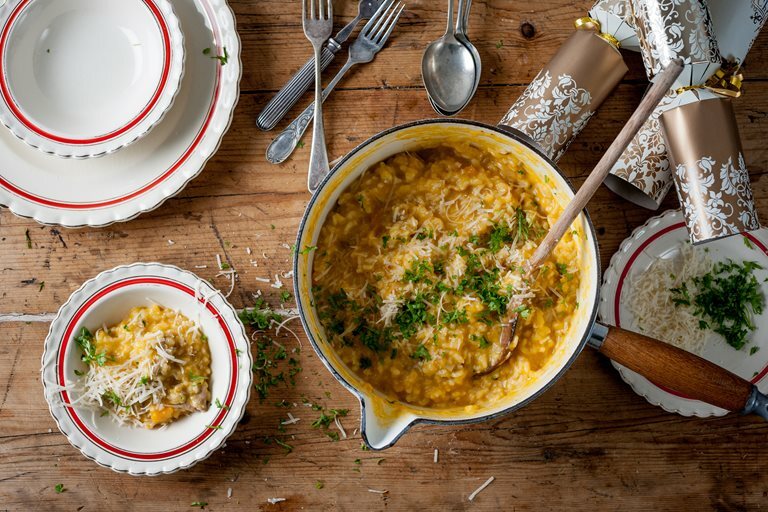 This pumpkin and turkey risotto recipe from William Drabble is a simple yet satisfying way to use up any leftover turkey. The pumpkin is softened with the chicken stock and used to cook the rice. Add Parmesan to make the mixture extra creamy.